For the second year in a row, the School of Kinesiology in the College of Education has offered the Sports Science Camp for high school students and Junior Sports Science Camp for middle school and junior high students. How are the camps working? They are changing lives. Coleman was transformed by this narrative and started thinking about his future. He loves playing sports, but is not sure he wants to play in college. Because of the camp, he is considering a degree in kinesiology and various, related career options. Another attendee, named Auburn, is a young lady from Wisconsin. Her mother attended Auburn University, and her daughter decided to come here for college after participating in the camp. “My mom is an Auburn alumnus and I have been an Auburn fan since I was very little. My goal one day is to attend Auburn University, so this gave me deeper insight into the school and property,” said Auburn. 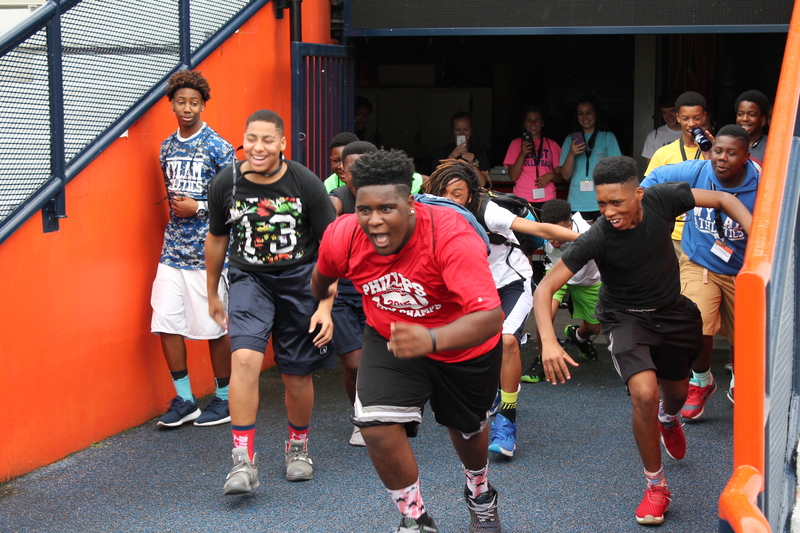 The camp ran from June 5-10, 2016, and included activities such as strength and balance testing, information on nutrition and supplements, a tour of the Athletic Facilities, mindfulness and the power of dreams, a motor learning brain activity, biomechanics assessments, and playing team handball. Several Kinesiology faculty and graduate students dedicated their time to teaching sessions and conducting activities for the camp to facilitate learning about movement of the body. 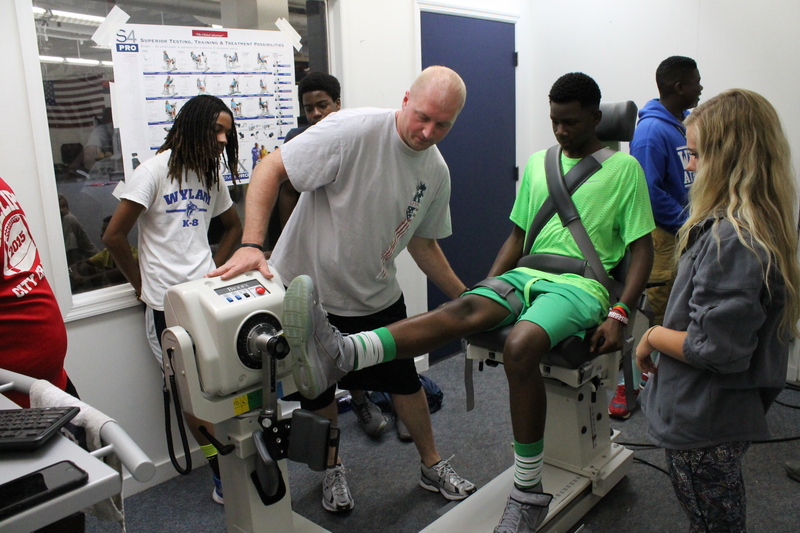 They also visited Rehab Works for warm-up and strength exercises, and to learn about a career in physical therapy. 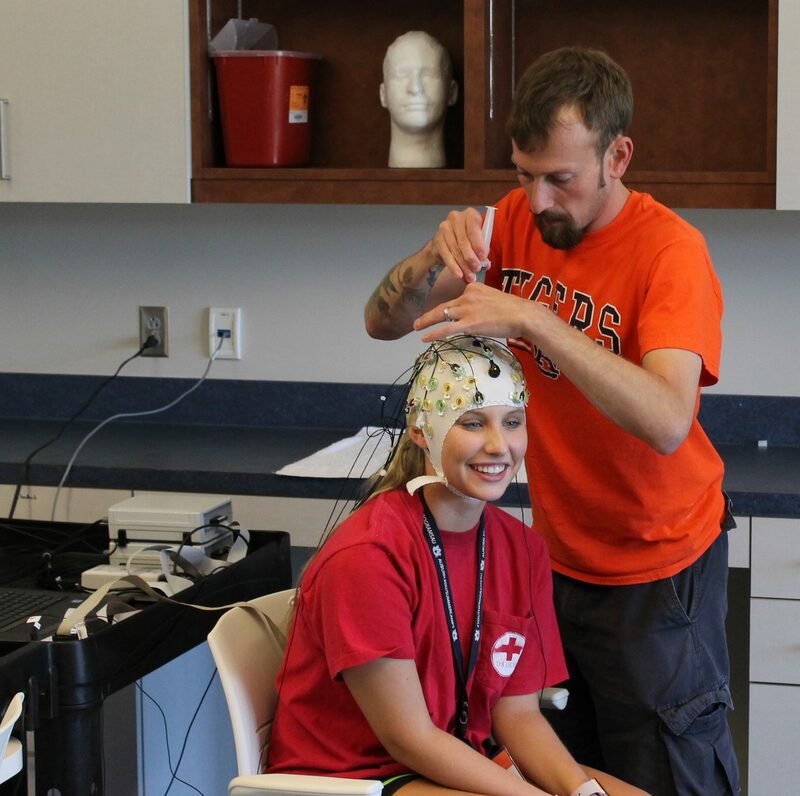 Matt Miller, Ph.D., Director of the Performance and Exercise Psychophysiology Lab, outfitted one student with a brain cap to measure neuron activity in the brain using electroencephalography (EEG). He told the student he would give him twenty dollars if he performed the test well, which required hitting the space bar quickly in response to a stimuli on the screen to measure reaction time. Throughout the test Dr. Miller would say “Faster, come on, you can do this, get that $20!” This put pressure on the student to see how it impacted performance. The other students could see his real-time neural electrical activity increase on the monitor as he focused intensely more on the task. The School also hosted the Junior Sports Science Camp for middle school and junior high students for the second year in a row. It was held July 17-22, 2016. The campers stayed in residence halls on campus and ate meals in the dining facilities. They were accompanied by three camp counselors 24/7. The School will offer the Sports Science Camp again next summer June 11-16, 2017, in conjunction with Auburn Youth Programs. Registration will begin in early spring 2017 online at http://www.auburn.edu/outreach/opce/auburnyouthprograms/index.htm.